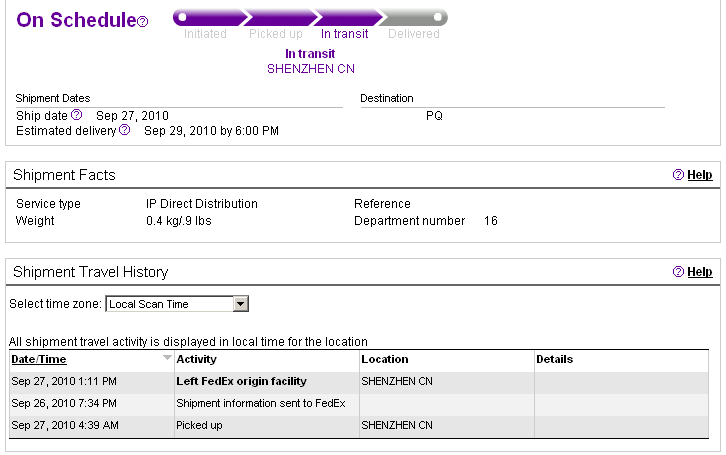 Based on the Fedex record the unit should be at my door on Wednesday the 29th. Last week some people reported delay in the delivery of the new “hobby” device… but this prove it was wrong. Apparently it is shipping straight from the manufacture in China. Looking forward to get the new toy!